Royal Jelly, Orfanoudakis. Main Page. Only the well preserved ROYAL JELLY has beneficial attributes. Buy it from our apiary, right from the royal cells. Trainning program at Montana, U.S.A.
" ROYAL JELLY REJUVENATES THE HUMAN BODY, STRENGTHENS IT AGAINST ILLNESSES, SLOWS DOWN AND SMOOTHS THE COMING OF OLD AGE." 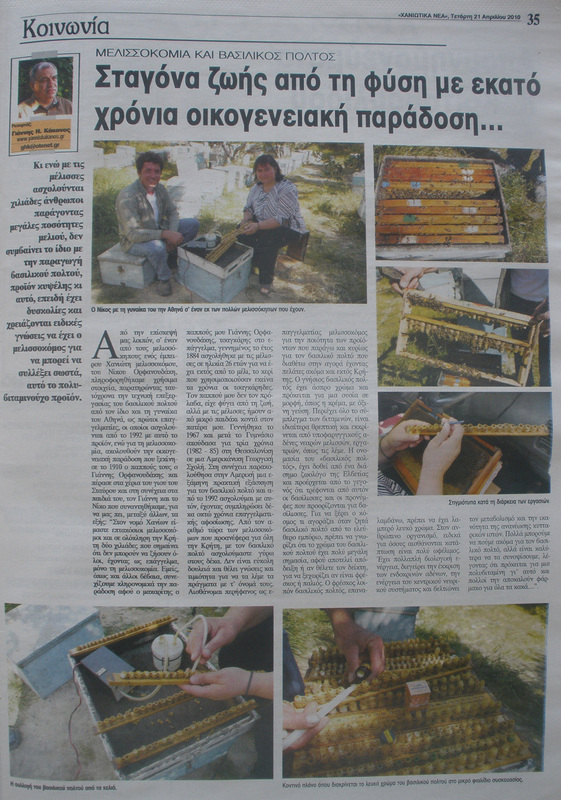 "To my dear colleagues, allow me to say, that they should be very carefull with royal jelly"
The annual analysis of 2008 for the royal jelly of our production will contain more details, and that requires more patience. © Powered by websetters.eu . All Rights Reserved.